Born in the year the Constitution of India was adopted, enrolled at the Bar exactly 25 years later, Justice Dattu is now the Chief Justice of India. Life has come a long way for Justice Dattu, who started his practice in Bangalore, dealing with matters pertaining to taxation, Civil, Criminal and Constitutional law. Appointed as judge of the High Court of Karnataka on 18.12.1995, Justice Dattu was appointed as a Supreme Court judge on on 17.12.2008. Between these dates, Justice Dattu also worked as the Chief Justice of the Chhattisgarh High Court and was then transferred to High Court of Kerala. It is from Kerala that Justice Dattu went to the Highest Court in the country. The President of India on September 5, 2014 cleared his appointment, and appointed him as next Chief Justice of India. Justice Dattu had then said “I will request for blessing of all citizens of this country to give me courage and confidence to take this institution of mine to the highest stride,”. He also said, “It will be the happiest day of his life to head the institution of judiciary” and “at the end of the day I can only say that I will do my best to improve the institution”. At the Supreme Court, Justice Dattu is heading Benches dealing with very important matters, Delhi Assembly case, the CBI Director case, Black money case to name a few. Chief Justice of India H L Dattu will have a term of over a year. He will have to deal with various challenges the judicial system is facing in the current times, including the ever increasing number of cases before the Indian Courts and the respect for doctrine of separation of powers. Known to be workaholic, Justice Dattu also likes Carnatic music and is reportedly an ardent follower of Lord Ganesha. Justice Dattu is also believed to be a no-nonsense judge and is very strict regarding adjournments. 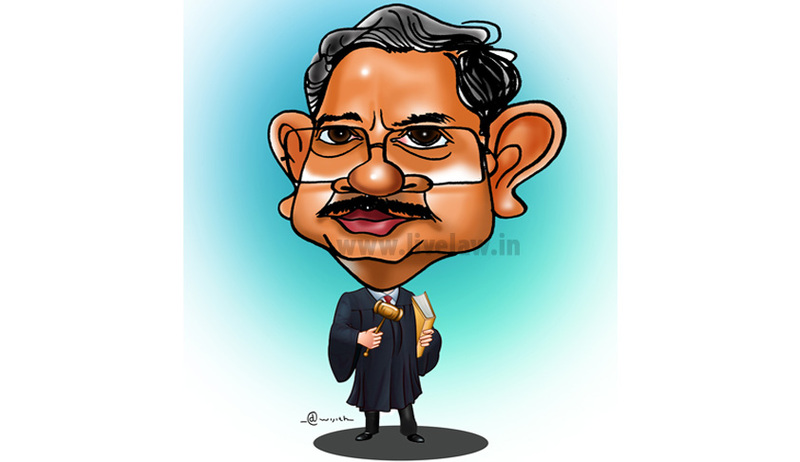 As Justice Dattu will have more than a year in office, it also gives him a wonderful opportunity to bring in institutional changes in the Apex Court, something which his predecessor Justice RM Lodha tried to do, but was not very successful, mostly due to the less time he had as the Chief Justice of India. Justice Lodha had also voiced his opinion regarding independence of judiciary, another challenge that awaits Justice Dattu in the era of National Judicial Appointment Bill having been passed by the Parliament. However, the appointment of Justice Dattu also saw some controversy. Former Supreme Court Judge, Justice Katju had also opined that the Chief Justice should be selected on ability, rather than seniority. However, as the headline suggests, such instances were just minor disruptions and had no effect on him becoming the Chief Justice of India. Justice HL Dattu has also been associated with various social organizations, including the rotary club. Justice Dattu also describes former Chief Justice of India S Rajendra Babu as his guru and credits him for teaching him virtue of hard work. Working very hard indeed, Justice Dattu, like his guru, has now reached the highest position, Chief Justice of India.